How Was Your Trading Year in 2017? 00:25 – Were you profitable in 2017? How was your 2017 trading year? Was it a good one? Let's talk about that and more, right now. Hi Forex traders! Andrew Mitchem here, The Forex Trading Coach. Video and podcast number 255, and this is the last video and podcast of the year 2017. Were you profitable in 2017? So it's a good chance and a good time right now to reflect on your trading year of 2017. How was it? Was it a good year? Have you been profitable? Have you lost money? Have you broken even? How was it overall? Were there certain months, were there certain times that were good, that were not good? And certain types of trade patterns that you took. Are you a news trader? Are you a technical trader? What kind of timeframe charts do you trade? What has worked for you? What has not worked for you? It's a really good time. It's an important thing to do right now is just to look back at that year. With the benefit of hindsight, what would you do differently? What did really work for you? What didn't work? Where's the consistency? Is there consistency? Is your trading all over the place? Are you getting a high win rate but still losing money? Different things like that. Have you had a few big terrible trades that have wiped out lots of gains? And I think it's a really important time to reflect and to go back and look at your trades, look at them on the charts, and just use that benefit of hindsight. Was that a silly trade to take? Did it break all my rules? Was it a great trade? Why was this a good trade, and what did it have as the setup? What can you learn from that? Use this quieter time now on the market, because really the market from next week is going to be fairly quiet. I'm going no longer than Friday the 22nd of December, probably even maybe a day or so finished trading before that, and I'm not going to start trading until at least Wednesday, the 10th of January. I really want to get into that first full week of the year, and the Monday and Tuesday the 8th and 9th are quite likely to be a bit slow, so Wednesday the 10th at the absolute earliest for me before I start trading again into 2018. So what can you do over this holiday period? Well, I encourage you to go and have a look through a lot of my past videos and podcasts. This is video and podcast number 255, so there's a massive amount of information there for you to go and look through. Do you want to look at trading daily charts? Do you want to learn about different timeframes, reward and risk? Low risk per trade? All those different things. There is so much information freely available on my website. You can go back through my strength and weakness analysis, have a look on the daily charts. How could you best use that with your own strategy? If you don't have a strategy I have a freely available strategy available on my website for you to download and to learn from. I have a risk calculator there available. There's lots and lots of freely available information. Very valuable, good, honest, practical trading information for you to benefit from. Overall in summary, we've had a great 2017 here at The Forex Trading Coach. Had some amazing results. Clients are just achieving tremendous, tremendous results. 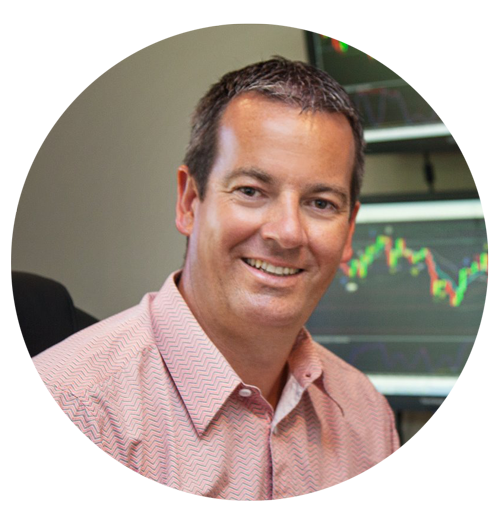 I'm absolutely thrilled and pleased and absolutely so pleased to be helping so many forex traders all around the world becoming profitable. It's profitable, but also importantly, it's independently profitable forex traders that I'm helping create. You see, I'm here for my clients all the time. I'm posting information all the time. But longer term, bigger picture, I'm wanting my clients and they are wanting themselves to become independent traders, and that's the important thing. That's what we're trying to create here. People that can see the trade, take the trade for themselves. Lots of information and help and support and backup along the way, but ultimately most people want to be able to do this themselves and that's what I can help you to achieve. So if you want my help in 2018, you know where to find me. I'm all over the Internet. Have a look at my website, ForexTradingCoach.com. You can email me. I will still be replying to emails over the Christmas and New Year break. But have a fantastic Christmas. Have an amazing New Year. A safe, happy one. And let's make 2018 an amazing trading year. I look forward to seeing you then for video and podcast 256 which will be in January 2018. Merry Christmas. See you next year.